We met in high school and married at the ripe old age of 18 and 19. 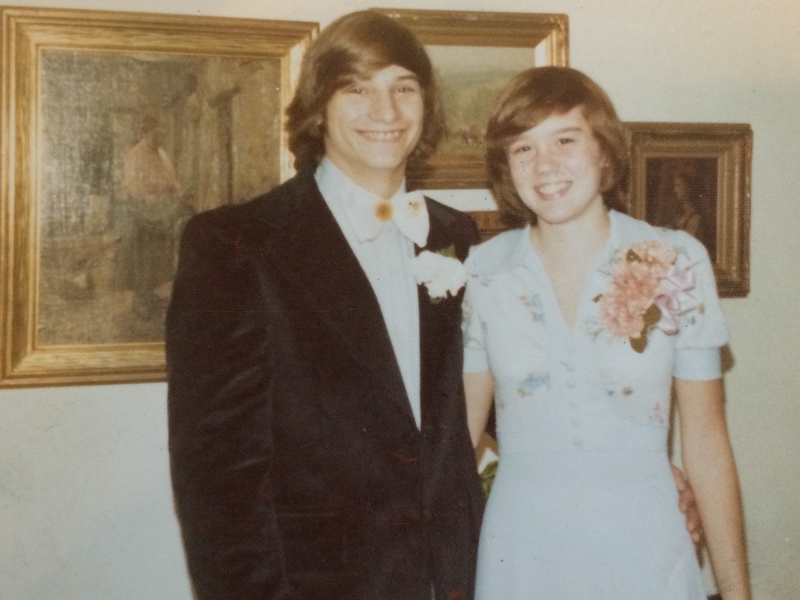 I’m pretty sure more than half the people at St. John the Evangelist Church in Deer Park, Ohio on that first day of October in 1977 didn’t think the marriage would last. Our ages were definitely against us. But last we have. 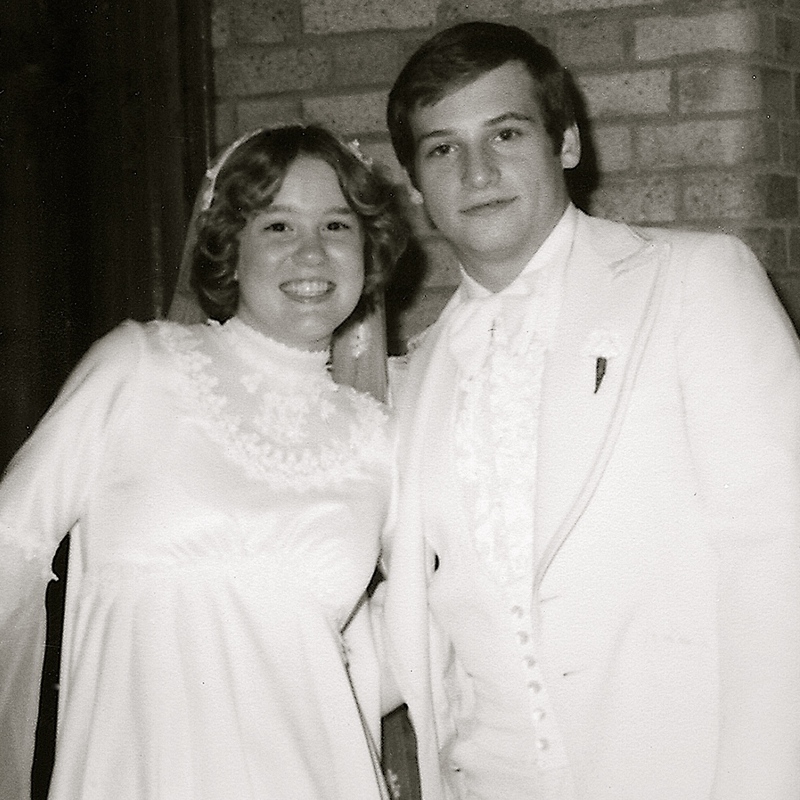 We said those vows 37 years ago and today I’m thankful we continue to celebrate anniversaries together. Ours is a shared history…..moving far away from our families and hometown to embark on our Air Force adventure, learning how to communicate through years of alert tours, TDY’s, command tours and separations….three pregnancies and deliveries and three little rough and tumble boys who stole our hearts and perhaps a few years….twenty-four moves….countless amazing friends from all over the world….year upon year of change, love, laughter and memories. On the other side we also had to grow up within our marriage and we didn’t always grow in the same direction. There were times when one or the other of us disconnected. Times when we’d look at each other and think “I’ll always love you but I’m not sure I like you very much right now.” Times when we had to fight, not just with each other, but fight for the sacrament of the marriage we had entered when we were so very young and full of romantic dreams. Over the years we’ve learned to laugh through the tears, love through the discontent, hug despite the cold of feeling distant (or perhaps because of it), and remain friends who love each other deeply. Happy Anniversary to my husband. I’m so very thankful you’ve kept me around and continue to renew my contract. There isn’t anyone else I’d rather be grand-parenting with and growing old next to. As I write this I’m completely amazed that 37 years have passed in such a blur. It’s a good thing we have those 59 photo albums to refer to when I want to remember the individual days! Please know how much you’re loved. I know I don’t say it enough. I’m glad we’ve beaten the odds. I love you more than all the stars and to the moon and back! Click here to watch the anniversary video I made two years ago. Happy Anniversary from another couple in the “Beating The Odds Club”. Don was twenty and I (Cheryl) was eighteen,celebrated our 38th in February ! We are truly Blessed! I love that Cheryl! I suppose some of us were luckier than others…or perhaps just more stubborn! Loved the video and the post. 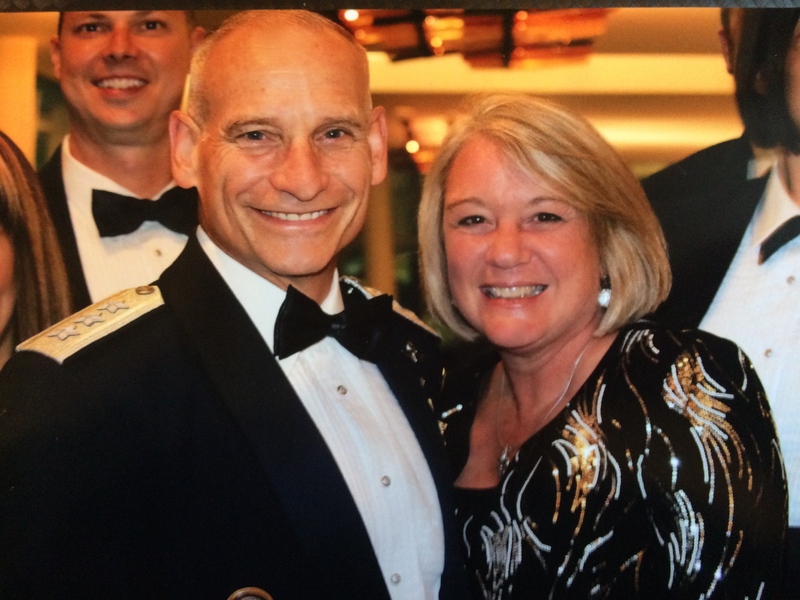 Thank you for being such a great example of marriage within the military. Garrett and I just crossed fourteen years and one evening I was whining about something and Garrett looked at me with a smirk and said, “I love you with all my heart but, SOMETIMES, I tolerate you with all my strength.” We laugh about that still and your sentiments above encourage me in knowing that maybe we aren’t too far from normal. Thanks again for the candid story. Thanks for sharing that Kari….a line I will remember and use! Seems like we marry our spouses anew with each stage of life and sometimes with each move we make! It never gets boring, does it?!? Thank you for this! It brought me to tears and I want you to know how much Brian and I admire you guys as wonderful older siblings and mentors! Happy Anniversary!